Hopefully after reading this page you will understand a little more of what Talens make, and why we focus mainly on selling their products. Royal Talens have been manufacturing paints and other art supplies for over 100 years, and their art materials encompass a number of globally renowned brands including Rembrandt, Van Gogh, Cobra Watermixable Oil Paint, Amsterdam Acrylic Paint, Art Creation and the new Amsterdam Deco range (Decorfin HobbyCraft), amongst others. Their products lead the market in art materials and have built up a reputation for their superb quality over many years. The versatility between their ranges truly allows the artist more flexibility and choice when expressing themselves through theirchosen medium. 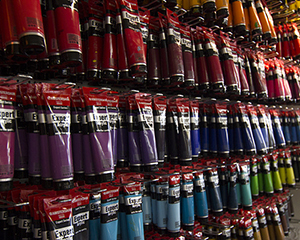 Talens brands of art materials are characterised by comprehensive and unique colour ranges, pure and authentic pigment sources, exceptional durability, high viscosity, and excellent levels of lightfastness. You can find all these important qualities and more in the Rembrandt ranges; particularly the Soft Pastel and Oil Paints. Royal Talens brands form a wide consistent product range of artists colour and drawing and sketching accessories. Traditional and modern at the same time, the brands that Talens offer are suitable for both the professional artist and the beginning painter; and always offers high quality art and craft materials at an attractive price, especially the art supplies for kids. Royal Talens is a household name of art & craft materials, mainly focused on fine art materials, which are used across the world professional artists and crafters. 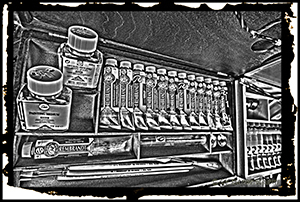 However many if their artist supplies are very versatile and can be used for crafting and printmaking. Over the years, a strong position has been gained in the fine art materials marketplace as a product of choice by ceaselessly working upon improvements since its establishment in 1899. Ambitious and innovative, Talens always looks for the ultimate balance between art & craft, expertise and innovation; aiming to encourage people's creative artistic expression by providing them with the best possible art & craft materials, and relevant informative artists information for their artist materials. 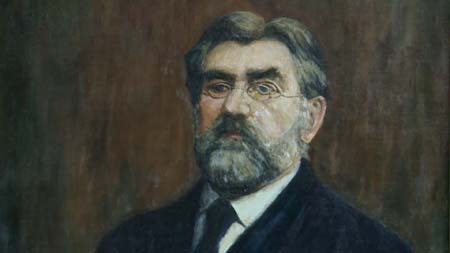 It was this year that Marten Talens founded the Dutch Factory for Paints, Lacquers and Inks in Apeldoorn (the Netherlands). As a family business it concerned itself initially with the production of office supplies and artists inks. 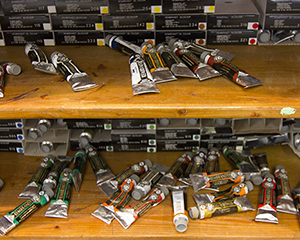 The arrival of Rembrandt oil colours and watercolours saw the start to the production of a wide range of high-quality artists' paints. This can be seen in a photo from the 1904 catalogue. With the ever-increasing production of oil colours and new products the business soon expanded for the first time. 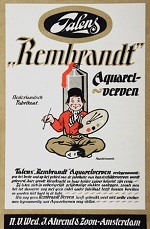 Also abroad theRembrandt oil colours, known from the "Dutch farmer", became a success. Talens set up a sales office in America. The demand for Talens products continued to grow and in 1920 the company continued to expand and further automated the production. Steam was introduced as the supplier of energy. In the years that followed the company took over a local ink factory and built its own tin plant. The company always responded to the needs of the market with the underlying concept of "meeting an as wide as possible range in this sector". 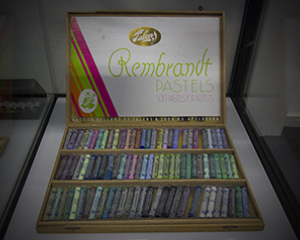 This approach led to the development and launch of the Rembrandt soft pastels. It did not take long for this product to become an international success as well. In 1927 a new office wing was built, which still stands today at the front of the building. Behind this façade the Royal Talens head office is located. The architect of this characteristic building was Mr P.W. van den Belt. This building is now listed as a historic building and is on the list of the Dutch Historic Buildings Council. The product range was expanded as a new market opened up: ribbons and carbon for typewriters. Distribution took place through the office stationer's and the emerging office machine sector for which then stencils and stencil inks were also produced. The high demands Talens had already set itself in 1949 regarding sound and high-quality innovation helped it acquire its "Royal" designation. Royal Talens gives this honourable mention shape in a modern manner. After having joined the Sikkens Group NV in1963 the range received a new boost with the introduction of a great many new products including modern types of paint such as Polymer Colours and ETA. In the mid nineteen seventies Sikkens was taken over by the AKZO group and Talens too became an AKZO subsidiary, until 1991. The catalogue of the time introduced;a brilliant acrylic (= plastic)-based paint, incorporating the latest chemical innovations; a paint which is an evolution in the area of artists' paints. The nineteen seventies saw the advent of the phenomenon of marketing. Many changes were made in the range. Van Gogh and Amsterdam were introduced: high-quality paints for amateur painters that catered to a wider target group. For years the Talens range included paint for folk art typical of the Netherlands: for example, a hobby craft paint that was used for the Hindeloopen style and Staphorst stippling technique. This paint, however, was increasingly often used for other more universal purposes/decorations and was re-branded Decorfin: paints and materials with which everyone can create a personal atmosphere in the interior and on numerous objects. Talens; most prestigious new development to date was festively opened by His Royal Highness Prince Bernhard: the new filling and packaging hall. The production takes places here for all kinds if ranges, like mixing mediums and varnishes on the most modern of machines and meets the most stringent of standards. In the Polish city of Lesko Talens built a factory where a highly complete range of brushes, easels and stretched canvases are now produced according to European standards. In-house production and direct distribution to the branches here, too, guarantees a reliable quality product. 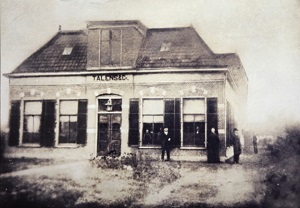 Due to the constant lack of space in the centre of Apeldoorn, Talens moved in 1990 to a new distribution hall on the outskirts of the city. From this location the products are sent to retailers in the Benelux and Germany. The company’s own branches in Europe are also supplied as are more than 90 distributors worldwide. Keep what is good and improve where it is possible. This was the challenging principle behind the restyling of the ranges of Rembrandt and Van Gogh artists’ painting sets and boxes. At the heart of the restyling is a clear and visual communication regarding the contents and an atmosphere that prompts artistic creations. In addition to the Rembrandt, Van Gogh and Amsterdam brands Royal Talens introduced a new brand, ArtCreation. Specially developed to allow the starting artists achieve their first successes, ArtCreation offers beginners an affordable and reliable basic quality in artists’ products. Renowned for its paints; Royal Talens celebrated its 110th anniversary on 4 October 2009. The company has grown internationally with strong brands and high-quality art materials that have been made with respect for tradition. The needs of their customers and dealers have always been paramount and that will remain so. Because together we can all make a colourful future as well!